Two Russian bombers were intercepted close to Canadian airspace hours after Ukrainian President Petro Poroshenko addressed Parliament, senior government sources told CTV News. The two bombers, known as “Bear” bombers, came within 50 kilometres of Canada's coastline in the Beaufort Sea in the early morning hours Thursday, CTV’s Mercedes Stephenson first reported Friday. NORAD radar detected the bombers around 1:30 a.m., and two CF-18s were scrambled from an undisclosed location in northwest Canada, Stephenson reported. When the Russians saw the Canadian planes, they turned back. Poroshenko had addressed Parliament on Wednesday afternoon. The bombers entered what is known as the Air Defence Identification Zone. When civilian jets cross into this area, they are required to identify themselves both for security purposes and to prevent accidents. 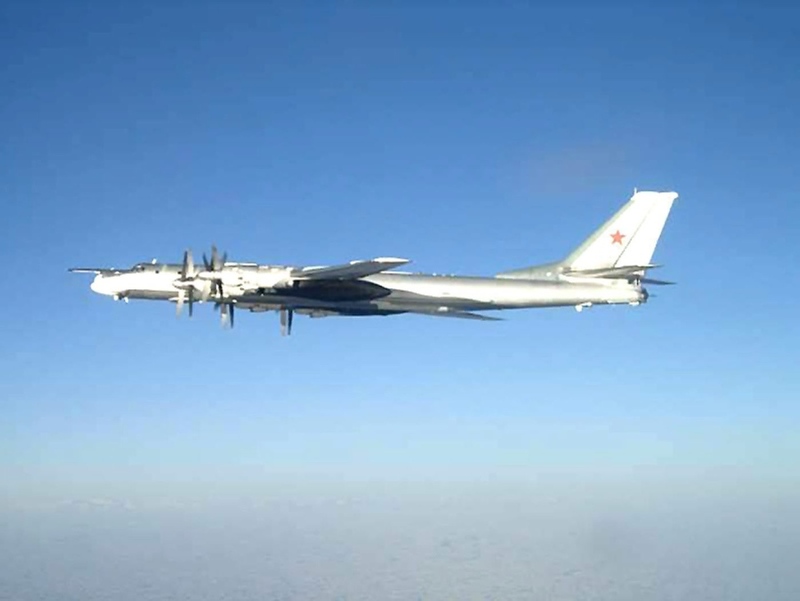 While it is not unusual to have Russian bombers fly close to Canadian airspace, a senior government source said that “this was a particularly close event,” Stephenson said. NORAD is also reporting that six Russian aircraft -- including refueling tanks and MIGs -- were intercepted about 60 kilometres from the Alaskan coast on the same day. The U.S. scrambled two F-22s to warn them off. Moscow says they were simply engaged in military exercises and did not breach Canadian or American airspace. The incident comes a couple of weeks after Russian planes “buzzed” a Canadian frigate taking part in a NATO mission in the Black Sea, where a U.S. warship was also tracked by Russian ships and planes.